Autoimmunity: The Intersection of Toxic Metals and Microbes? 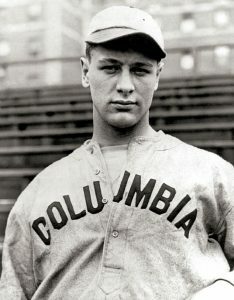 As an example, amyotrophic lateral sclerosis (ALS), a progressive neurodegenerative disorder where the immune system destroys neurons in the brain and spinal cord which govern movement, was first described by Jean Martin Charcot back in 1869, but it was so rare that when Yankees’ baseball star Lou Gehrig was diagnosed in 1939 most people had never heard of it. Gehrig’s illness brought the first widespread media attention to this baffling neurodegenerative disease that was almost invariably fatal. Since then many more people have contracted ALS, including jazz musician Charles Mingus, Pulitzer Prize-winning playwright Sam Shepard, actor David Niven, and most notably physicist Stephen Hawking. It seems these days that everyone knows someone who has battled this illness, and if not this one, then one or more of the other serious and previously rare conditions that fall under the autoimmune umbrella. Even what is probably the most well-known autoimmune condition, type 1 diabetes, is rising in prevalence, and while type 1 was once known as “juvenile diabetes” because it was only known to strike children, it is now striking adults as well. Molecular mimicry makes sense, has been demonstrated to occur, and can explain a great deal about autoimmunity, including perhaps why an infection is often the apparent trigger for autoimmune disease. But molecular mimicry by itself cannot explain the totality of autoimmune phenomena. First off, in an age of decreasing incidence of acute infectious disease, it cannot explain why autoimmune conditions used to be rare and are getting more and more common. The immune system has been creating antibodies to fight off pathogen invasion in the body since humans first walked the earth. Why have our bodies suddenly become so bad at distinguishing self from invading pathogen? Does Vaccine-Stimulated Immune Activation Play a Role? This increase could be explained perhaps by the recent dramatic increase in immune system activation stimulated by vaccination, but on the surface that doesn’t explain the patterns we see in timing of onset of autoimmune disease or why, once someone has developed one autoimmune condition, they are at very high risk of developing another, and another, and often yet another? Why does someone with rheumatoid arthritis, for instance, in which antibodies attack the joints, often go on to develop scleroderma, where antibodies attack skin tissue? The joint-destroying antibodies don’t suddenly gain the ability to bind to skin cells. The immune system has begun producing different antibodies, which attack different tissues. This phenomenon is usually glossed over with vague terms like “overactive immune system” or “Th1/Th2 imbalance.” While the immune system is certainly “overactive” in such cases, saying so is like saying a hypothyroid condition is caused by an underactive thyroid; it merely restates the obvious without providing insight. And many folks with autoimmunity conditions, like me, display symptoms of both Th1 and Th2 dominance. So, despite the scientific community’s fascination with the concept of Th1 and Th2 balance, I find it essentially useless. Also unexplained by “overactivity” of the immune system is why women develop autoimmune conditions at about three times the rate that men do. None of this is merely academic to me. My ex-husband—and the father of my children—is currently extremely ill with two serious autoimmune diseases, ulcerative colitis and primary sclerosing cholangitis, and will die soon if he does not have a liver transplant. That might not sound like a problem for many ex-wives, but the same can’t be said for us. He and I are good friends, and it hurts a great deal to see him so sick, and even more so to see the effect it’s having on his kids. Our 19-year-old daughter, who may have inherited a genetic tendency to develop similar serious autoimmune conditions herself, is hoping that his medical team will allow her to donate part of her own liver, assuming the tissue match would be better than he could find in the victim of a random car crash. As if my ex’s troubles were not enough, I myself have experienced several lesser autoimmune issues, including Raynaud’s syndrome and rheumatoid arthritis, and am currently seeking answers about other health issues that are probably autoimmune in nature. So you’d better believe I want to know what’s happening. Why are so many people’s bodies attacking their own tissues in recent years? Why does one person develop autoimmunity and the next doesn’t? The most common thing we hear is “it’s genetic.” (Sound familiar? It’s probably what you’ll hear if your child is diagnosed with neurological disorders like autism, epilepsy, or ADHD.) Yet there is no purely “genetic” explanation for why one identical twin gets hit and another doesn’t. Genetics also can’t explain why so many people come down with illnesses never before seen in their extended families. Clearly, something else is in operation here. The best science can offer us is “Environmental triggers in a genetically susceptible individual are believed to cause disorders of immune regulation.” Hmmmmm . . . genetic susceptibility and environmental triggers, where have I heard that combination before? Oh yeah, in reference to pretty much all of today’s chronic illnesses, but especially the neurodevelopmental disorders—including autism. 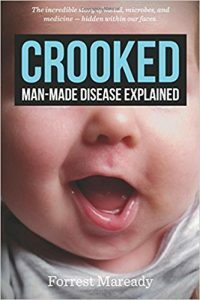 Crooked: Man-made Disease Explained, a new book by Forrest Maready, attempts to get to the bottom of what that “something else” is and why it seems so strongly linked to neurological disorders. Maready is not a physician or a scientist, nor is he really a writer. But what he lacks in training and finesse, he more than makes up for in curiosity, persistence, and investigatory skills. The book is a fascinating and enlightening read. 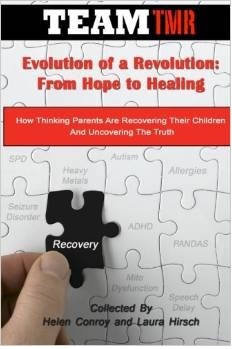 While I think Crooked is likely to be utterly dismissed by the mainstream medical community because of Maready’s “outsider” status—not to mention his conclusion that it’s likely that these conditions are being inadvertently triggered by treatments enthusiastically promoted by that same community—I think Crooked is also likely to attain underground cult status with people actually living with neurodevelopmental and autoimmune conditions—people, in other words, who are actively interested in reversing neurological deficits and autoimmunity and recovering their health. One thing you find the instant you are diagnosed with an autoimmune condition is that mainstream medicine has literally nothing to offer you but palliative pharmaceuticals designed to mitigate your symptoms. That’s it. Frequently doctors will say “We’ll try this medication, and when it stops working we’ll go to something stronger,” with the expectation that the patient will be on progressively stronger (and more toxic) medications “for life.” Then they’ll toss in another prescription to treat the “depression” that mysteriously came on. The next thing you find is that mainstream medicine as a whole is shockingly lacking in curiosity about what’s causing either your particular condition or the recent explosion in autoimmunity. It seems the only thing that ignites most physicians’ interest in autoimmunity’s root causes is falling ill themselves. Indeed, the rare times I’ve encountered medical doctors who have even tried to really understand autoimmunity, they have almost always been sufferers themselves, including Kelly Brogan, Amy Myers, and Terry Wahls, to name a few. Many of them have discovered a connection between autoimmunity and leaky gut. Functional medicine approaches often focus on healing the gut, and can get wonderful results for some. However great, though, healing the gut just isn’t enough for many sufferers. There must be something else happening as well. Like virtually all good autoimmunity detectives, Maready started off with a personal stake: His wife, LeAnne, was suddenly and severely stricken with Crohn’s disease when she was just a teenager. Having been very physically active as a teenager (“I was the fastest runner on the team”), LeAnne’s story sounds eerily similar to that of the growing cadre of young girls and women, many of whom were athletes or dancers, whose lives have been derailed or ended by a Gardasil injection. The first part of Crooked reads like a mystery novel in which the detective explains his reasoning as he goes along. Maready’s journey starts with a simple observation: A lot of people have crooked smiles and/or misaligned eyes these days. The average person might make such an observation and immediately forget about it, but not Maready. After several pointed reminders, his curiosity is piqued. Is this a new phenomenon, or merely one that has recently come to his attention? To find out, Maready went through mountains of old photographs going back to the beginning of photography itself. His conclusion? At no time in the past were so many people exhibiting so much facial asymmetry. Not even close. The next question is why? What could be happening now that would be causing such asymmetries? Again Maready’s investigation is thorough, taking him all the way back to the person who first described the workings of the cranial nerves: Sir Charles Bell, a Scottish surgeon in the early 1800s. Bell’s work on facial paralysis lives on to this day in the syndrome that was named for him: Bell’s palsy. Bell discovered that facial asymmetries were due to injury to one or more of the nerves controlling the affected parts of the face. Of course such injuries, known as lesions, could be caused by physical traumas such as being kicked by a horse, but Bell saw a number of clients where the cause was not so apparent. In virtually all the accounts of unexplained facial paralysis from that era, Maready found discussion of medical treatments, especially “purges,” which had been administered before the palsy began. Such doctor-administered treatments in that era were based on mercury which is highly neurotoxic and could wholly explain the nerve damage Bell was seeing. Maready also began noticing among his friends with children on the autism spectrum that many of them displayed similar facial asymmetries. When he searched the scientific literature, he found that this was a known association. Children with autism did often display significant facial asymmetries as well as frequently presenting with torticollis, which is caused by damage to yet another cranial nerve. Asking himself why children with autism would have damaged cranial nerves led Maready to discover that all the cranial nerves come together in the brain in the dorsal vagal complex. A neurotoxic substance deposited in the dorsal vagal complex could easily damage any of the cranial nerves, as well as other nearby brain structures that could conceivably cause the core symptoms of autism. Mercury is certainly one possible culprit for such nerve damage, and is still contained in significant amounts in most flu vaccines, even those given to pregnant women and children over six months of age. But Maready offers another, likelier, possibility to explain the majority of the phenomena we are seeing today: aluminum. Despite the fact that mainstream media maintains that science has declared aluminum—and particularly injected aluminum salts—perfectly safe and Dr. Paul Offit has even gone so far as to pretend “aluminum is believed to play an important role in the development of a healthy fetus,” the totality of the science actually says something very different. According to Christopher Exley, Ph.D, who has made the study of the biological effects of aluminum his life’s work, “ . . . there is no scientific evidence that any organism uses aluminum for any biological purpose.” Many studies have established that high levels of aluminum in drinking water are correlated with high levels of Alzheimer’s disease. In addition, high levels of aluminum have been found in the brains of people who have died of Alzheimer’s, and even higher levels have been found in the brains of people with autism, much of it in inflamed microglia, a hallmark of autism. And that’s just the tip of the iceberg when it comes to the toxic effects of aluminum. We now know that injected aluminum in the form of aluminum salts is not excreted from the body in a short period of time as previously thought. Instead, white blood cells called to the site of the toxic “invader” do what they are supposed to do. They clean up, in this case by engulfing the large aluminum particles, and, in the case of significant amounts injected at once, walling them off in granulomas so that the aluminum is not able to move throughout the body, causing harm. The problem with this, as Maready says, is that the aluminum remains trapped inside the macrophages until they die. These white blood cells are immune cells which are called by complex signaling methods we are only beginning to understand to sites that are in trouble. (This is called the cell danger response, and we know that “Abnormal persistence of the cell danger response lies at the heart of many chronic diseases,” including autism.) Maready was surprised to discover that the endangered cells also trigger the cell danger response in the brain, particularly the dorsal vagal complex, drawing those aluminum-loaded immune cells there as well. If aluminum-containing white blood cells die where they are called, they expose the already stressed tissue to toxic aluminum. If that happens to be the dorsal vagal complex in the brain — voilá — neurological damage ensues. What sorts of events activate the immune system in this way? Two types are pretty obvious: pathogen invasion and tissue injury—two things, probably not coincidentally as Maready points out, that occur with each and every injected vaccine. In addition, the dorsal vagal complex can also be activated as part of the freeze response we experience when extreme fear is combined with the inability to fight or flee—in other words, when combined with physical or psychological restraint. Such restraint is, unfortunately, also frequently a part of the practice of vaccination, as well as circumcisions which are performed shortly after birth, when most children are receiving their first aluminum-containing vaccine: hepatitis B. Most infants, then, are repeatedly subjected to three types of dorsal vagal complex-activating events simultaneously at the exact same time that the child’s white blood cells are likely to be collecting aluminum from vaccination sites around the body. Is it any wonder that one-sided smiles and misaligned eyes, not to mention other forms of neurological damage, are getting more common? When investigating the discrepancy in rates between boys and girls, Maready found out that females are wired somewhat differently than males and when subjected to the same sort of stressful restraint will not go through fight-or-flight to a freeze response as quickly or as readily. Instead, they will often shift to a negotiating and nurturing mode, which does not activate the dorsal vagal complex in the same way. To me this makes sense evolutionarily, as females are smaller and slower in general than males and are often responsible for children who are even smaller and slower still, both fighting and fleeing are less viable means of survival. So how does this relate to autoimmunity and its feminine dominance? While appreciating the elegance of Maready’s line of reasoning and his gathering of evidence regarding neurological disorders, there really wasn’t that much information so far that was new or shocking to me. It was when Maready started wading into the waters of autoimmunity that he blew my mind. Maready (with the help of LeAnne’s own research) noted that onset of autoimmune conditions in women often occurred immediately following four main triggers: infection, pregnancy, extreme physical exertion, or heightened stress. What do these four triggers have in common? They are all immune activation events, calling white blood cells to sites of stress or injury. “‘I was diagnosed with rheumatoid arthritis after my first pregnancy,’ I would hear again and again,” says Maready. That sentence gave me chills because I developed rheumatoid arthritis a few months after my daughter was born, and I wondered at the time if the pregnancy was a trigger, but the best info I could find was that RA often goes into remission during pregnancy because of the supposed down-regulation of the immune system. So we know that the white blood cells that arrive at these sites are likely to contain at least some aluminum, which we know will not be good for the already-stressed cells, but that alone doesn’t explain why the inflammation response keeps going and often increases in intensity to the point where the body is spending a great deal of energy attacking its own tissues. Maready’s explanation had me riveted. If you know anything about Lyme disease, you may know that one of biggest reasons it is so hard to get rid of is that the bacteria that causes it are spirochetes which have three different forms. When antibiotics kill the bacteria in its active form, the remaining bacteria revert to forms that are much harder to kill until it’s “safe” to come out and proliferate again. So like some viruses, including all the herpes viruses, Lyme bacteria essentially have a “stealth mode.” What I didn’t know—and it’s truly mind-boggling to me that I didn’t—until I read it in Crooked is that other bacteria can also develop cell-wall-deficient forms that are then able to invade and hijack the body’s own cells, especially white blood cells. These bacteria then continue living and replicating inside our own cells. The immune system knows they are there and goes about trying to get rid of them using every weapon in the arsenal, including antibodies. “Antibody” in this case turns out to be quite literal—as these antibodies actually attack host cells that have been hijacked by intracellular bacteria and viruses. So what can cause these bacteria to lose their cell walls and go “stealth”? Maready lists a number of ways, focusing on what he sees as the most important ones, one of which is through the use of certain types of antibiotics. In fact, treatment of strep bacteria with any type of penicillin is a well-known pathways. Anyone who knows me and knows that I had a son who died of a strep A infection and a daughter who suffered for years from PANDAS has to know that my head practically exploded when I read this. Guess what else can cause bacteria to make that same conversion? Aluminum. Yep, you read that right. Aluminum gets called to the site of an infection, then changes the nature of the bacteria it’s fighting, making it much more difficult to get rid of and enabling it to hijack immune cells, thus keeping the inflammation going and helping it to travel anywhere in the body that may signal for help. Antibiotics and injected aluminum, the perfect storm. So where does all this leave the reader who wants to get well? If all this is true, then one thing is for sure: Our current mainstream medical approaches to autoimmune conditions are horrifyingly wrong-headed, with conditions like PANDAS being treated with lifelong prophylactic antibiotics and most others with immunosuppressing drugs which would allow chronic infections to fester indefinitely. Maready believes that once we know what lies at the root of the problem, it should be much easier to find a way to actually reverse it. At the end of the book, he provides a chapter with treatment ideas and suggestions for finding a healthcare provider who can help us remove the aluminum (and/or other toxic metals) from our bodies and finally rid ourselves of the chronic infections that may be causing our misery. From an investigational perspective (even if all this didn’t affect me personally, I love a good mystery), I appreciated that Maready seemed most interested in getting to the truth and for every new observation or theory he sought out all the available evidence—both contrary and supportive. Does that guarantee that no bias creeps in? Of course not. We’re all human; we all have biases colored by our experiences. And Maready makes his own bias clear in the book’s introduction. He believes his theories to be largely correct and throughout the book states them more affirmatively than I would be comfortable with, but he makes it clear from the outset that he knows that at this point this is all theory, and part or all of it may not turn out to be true. Verification will ultimately be up to scientists. That said, it is clear that Maready’s investigation was done conscientiously, with integrity and intelligence, and is backed by science at every point. And I find his conclusions startlingly plausible and coherent with both the known science and anecdotal experience. I really hope that Maready’s book marks a major turning point for the better for those of us on healing journeys. 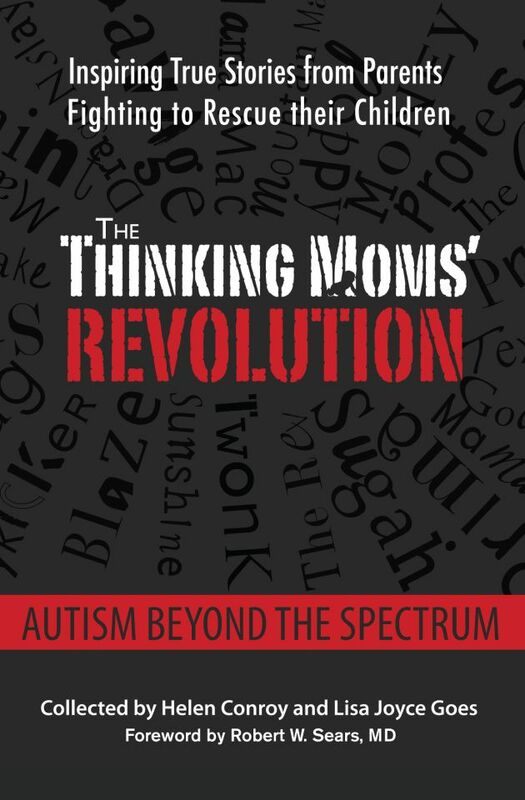 This entry was posted in Blogs by Thinking Moms' Revolution, Professor TMR and tagged aluminum, autism, autoimmunity, Crooked, Forrest Maready, microbes. Bookmark the permalink. 13 Responses to Autoimmunity: The Intersection of Toxic Metals and Microbes? I think aluminum is also used in the pesticide/herbicide industry. I’m sure the author mentions it in his book, if he’s been very thorough. I wonder if blood type: negative vs positive in pregnancy, possibly conflicting w/blood type of fetus, draws an immune response that could draw aluminum laden macrophages from the mother’s body to the developing fetus. Forrest has identified some pieces of the problem, but I think the root cause is a combination of Vitamin A toxicity and methanol poisoning. 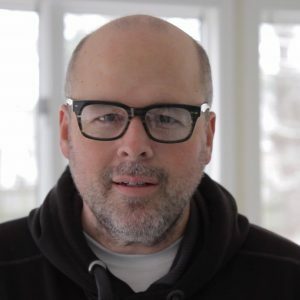 Grant Genereux had severe eczema — an “autoimmune disease” — along with co-morbid chronic fatigue, insomnia, severe kidney disease, cataracts, poor teeth and gum health, etc. He healed all of these conditions by a zero-Vitamin A diet. Then he did a rechallenge with Vitamin A and had a flare-up of his eczema; he also tried a retinoid supplement (lutein and zeaxanthin) and had another recurrence of some issues. I find his story totally compelling: for him, it is indisputable that his health issues were due to excess Vitamin A.
Vitamin A seems to be needed in very small, well-controlled quantities. When everything is working the way it is supposed to, dietary Vitamin A is immediately removed from blood/lymph circulation and stored in the liver. The liver releases retinol bound to carrier proteins as needed. If the liver is not able to quickly remove Vitamin A from circulation, then cells will be exposed to unbound retinol, retinol esters, and derivatives. When these are absorbed by cells, they cause inflammation and damage leading to various symptoms. A wide variety of symptoms can result, usually diagnosed from the “primary” symptom, along with other “co-morbid” conditions, but all due to Vitamin A toxicity. Vitamin A toxicity primarily affects epithelial tissues. I think this is due to the body’s protection against ethanol poisoning — epithelial tissues all have high levels of alcohol dehydrogenase (ADH), which converts ethanol alcohol to acetaldehyde, and another enzyme to convert acetaldehyde to acetic acid, which is used as fuel. ADH and aldehyde dehydrogenase will also convert retinol to retinal(dehyde) and hence to retinoid acid (RA). RA is highly toxic, to the extent that it is used as a chemotherapy agent. Retinol itself affects mitochondrial energy production. So this whole cascade of retinol —> retinal —> RA is inflammatory and injurious to the cell. When this is intense, it triggers an immune response, and voila, you have an “autoimmune” disease. Well, your immune system is in fact attacking you — but it is because your cells are sick and dying from being poisoned. So where does methanol come in? ADH has high specificity for ethanol, but in the absence of ethanol will convert methanol to formaldehyde, which is highly toxic. (The minimum lethal dose of methanol is 6 grams, just over a teaspoon, while the MLD for ethanol is ~350grams). Common methanol sources are canned/jar’ed foods such as fruits/vegetables/jams, smoked foods, aspartame, and tobacco. Tomatoes are the worst of both worlds, with high methanol content and high Vit A. Methanol works together with excess Vit A to cause inflammation and illness. Tomatos in moderation can be ok. I get on the vine ones once a week. My son seems to crave them. Did have a Vitamin A issue once in the past with certain fish oil supplements. Vitamin A was too high. Always had great success with carotenoids, and RA sources in small amounts especially in the winter months. Carotenoids seem to help with the blue light from screens but so does avoidance of overuse and filters. I wonder what the supplement that Grant used was, some of the supplement companies have additives that can trigger inflammation and then the supplement is blamed when it was something else. Carotenoids from quality sources are so helpful. Eating foods rich in carotenoids. Also, I believe that whatever microbes you have will dictate what could become problematic. I have been working with kids with Crooked eyes and writing about it in my books for over a decade. I also believe some of it. to be Strokes from injections. I provide simple but important eye exercises to get the eyes to team up and work together so that words and sentences stop appearing to move off the page. This helps tremendously with reading and writing, art too. When you see a child leaning over a desk with an extended arm and the face resting in the crux of the arm-you can almost bet that the child will read better after exercises because what the child is really doing is that he or she has been blocking one eye to stop the characters from superimposing on the wall behind the page. Most kids do not even realize this. Additionally I am posting this reference about improving some auto-immune symptoms for pennies a day, though I do not usually like where it originates from but I do believe in the benefits. Thanks Maready and to the Thinking Moms for your insights! Baking soda affects the body’s acid/alkaline balance. When it moves that in the right direction, it can lower inflammation and thus help with autoimmune issues. I have also noticed that people are sicker longer when they get a virus. People who routinely and occassionally vaccinate. Those with any diabetes, asthma, respiratory condition, and some individuals on the spectrum. I do believe that the man created frequencies on the planet are causing mass dysfunction via behaviors of sub-atomic particles, and changes of voltage gated channels. This creates a cascade of events that dysrupts the balance of evolution. This change in frequency has generational effects as does vaccination via altering expression of mRNA, and subatomic organization and behavior of structural arrangement of atoms. This combination of molecular and sub-atomic and atomic alteration is hurting all life in numerous ways. I theorize that the nanoparticulate contamination and metal contamination changes the direction of subatomic particulate signalling creating abnormal organization and creating chaos in the organization of informational exchange (structure) or processing. This chaos in the exchange process is effecting proteins and cascades. This is triggering abnormal regulation, inflammatory cascade events and more. I believe that this is part of the problem I see in my son. While I have hope and I do my best, I realize that big change must occur and precautionary principles across industries must be adopted soon or life will continue to cease. Who will be left functioning and will they understand what needs to be done? Who will be our leaders making the most important decisions? We are complex energy beings and we are connected and even in states of dementia where we do not remember we “know”. There is no explanation and that is because we all have an energy imprint and when someone has lost the memory they might still have the “imprint” ability to perceive this energy…..Life is a balane and when some form of processing goes another might light up to compensate and this is consciousness, this is will……..it crosses the fabric of time space and grounds us. When I read about the crooked symmetry this is the physical sign of what is happening in the ether. When we are so damaged, what is the “will”? How can we promote this in our intention to find this? As wounded warriors we have to promote this in all- it is our duty of love. 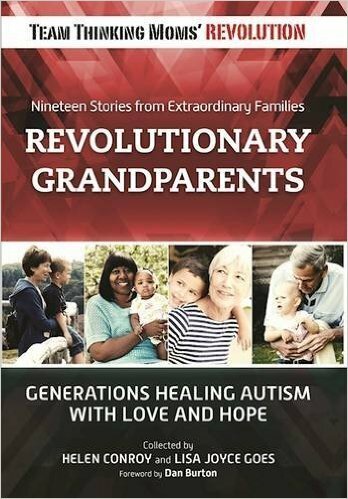 Read the book by Anthony William “Secrets Behind Chronic and Mystery Illness and How to Finally Heal” out in 2015 and on the best seller list! You will find your answers there. It is way ahead of science and accurate. I know several people who consulted Anthony Williams personally and his protocol didn’t help them. It may be helpful for some, but it’s certainly not all. I was thinking the same thing the whole time I was reading this article! I love Anthony’s information. It seems to put all the pieces together and makes perfect sense. I think we need to look at the whole picture and search for our missing pieces. Our bodies and our environmental exposures are way too complicated for simple answers. The shared obsession here with medical models, treatments, causes, cures and “fascinating theories” appears to fill some sort of neuro typical emotional void, but in practical terms it all represents old paradigm ideas opposed by adult spectrum individuals. The articles here are about as effective and useful as uninstalling the Apple Mac OS operating system in an Apple computer and trying to install Windows in it, irrelevant and pointless but you folks seem to enjoy the process. But what do I know, I’m just a life long spectrum adult. Dude, it is not all about YOU. My ex-husband is dying from a very real illness and countless others are suffering in myriad ways, and you’re prattling on about “ideas opposed by adult spectrum individuals” and “neurotypical emotional void.” The irony here is breathtaking.